A necessity for any parent. Easily store all your essentials in the pockets and a cold beverage in the cup holder while keeping up with your daily routine. Don't miss a step with this convenient carry-all. Constructed of durable polyester and neoprene with heavy duty velcro attachments. 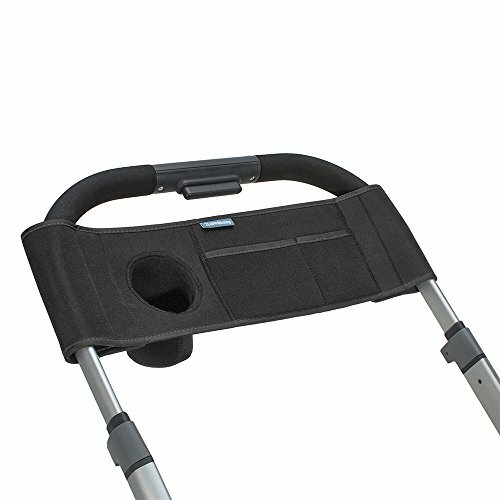 Attaches onto stroller handlebar. Convenient cup holder, 2 pockets and large zippered storage compartment perfect for keys, cell phone and other essentials. Compatible with all Vista and cruz models.